Disney Challenge: Beauty and the Beast (2/4): Is It Stockholm Syndrome? Let’s talk about the contention that Belle has Stockholm Syndrome. Every time I hear this, I want to ask the person if they’ve seen more than the trailer. There are excellent discussions that break down exactly why that’s not the case that I’m not going to restate here. You can read the best one here. Basically, for it to be Stockholm Syndrome, the person must be held hostage against their will, brutally abused, and made helpless. Eventually, the imprisoned person imprints upon their captor, with feelings akin to infants imprinting on their parents. Stockholm Syndrome, by definition, doesn’t result in romantic love. 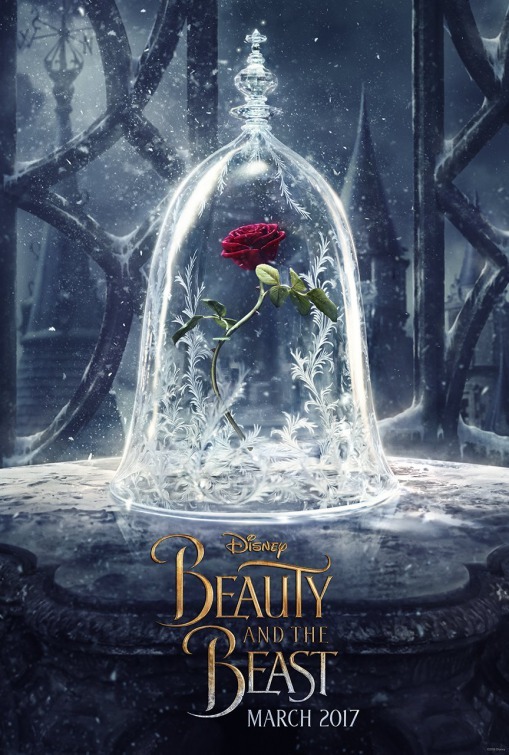 In the set up for the story of Beauty and the Beast, Belle requests a rose from her father while he’s off on his business trip. He steals a rose from the Beast’s garden for her and the Beast, acting in his capacity as Prince and therefore the law of the land, imprisons Maurice for his crime. (I mean—it’s a bit Draconian for us in modern times but not out of the realm of reasonable in the story world). Belle comes to rescue her father and trades her freedom for his. In the cartoon, she bargains with the Beast and gives her word she won’t try to escape. In the movie, she tricks both her dad and the Beast (part of the reason he’s so furious with her in that scene). Out of her deep love for her father, Belle makes a choice to be imprisoned in her father’s place. We have no indication in either movie that the Beast would have imprisoned her before her bargain–in fact, he planned to allow her to leave the castle. About eight hours later in story time, after the “Be Our Guest” scene and her going to the west wing (her one condition which she ignores–another key difference from Stockholm Syndrome victims, who are NOT allowed free roam of their confinement), the Beast tells her to get out. She goes tearing off and the wolves set upon her. The Beast rescues her (he chooses to do this—another indication of his heroism. There’s nothing in the story world compelling him to do this—other than he may recognize that she’s his only chance to break the spell) and is injured. Now, in both versions, Belle could have hopped on Philipe (the horse) and headed home to the village and leave the beast bleeding away on the forest floor. She doesn’t (in stark contrast with Gaston abandoning an injured LeFou in the ending sequence in the live action). She’s heroic instead and chooses (there’s that word again!) to stay at the castle and nurse the Beast back to health after he’s injured rescuing her. Why? Because she’s compassionate and kind (she is the heroine after all). Also, just from a story perspective, she needs to stay at the castle, or we don’t have a story. During the time she’s in the castle, she maintains her free will and independent mind throughout. She has free roam of the castle. Beast gives her a library–a priceless and perfect gift. They eat meals together, they read in companionable silence together, they walk, play in the snow, visit Paris (in the live-action). NONE of the brutal conditions for Stockholm Syndrome are met. At the turning point into the 3rd act, Beast, understanding that Belle misses her dad, offers her the magic mirror to see him. I’ve seen criticism here that Beast should have just taken her into town. What, exactly, do you think would have happened if he’d done that? Did you see the mob that showed up when they just saw him in a mirror? Anyway, Belle sees her father suffering in the mirror and, here’s the key moment, the Beast makes the sacrifice to let her go. Let’s be clear what this means. We have this cursed prince, who, in order to break the curse and not be a beast any longer—a condition he hates—has not only to love someone (which the audience can clearly see he does love Belle at this point—it’s debatable whether she knows or not) but be loved in return. Belle is his only chance at freedom. He gives her freedom by trading his own (the same loving sacrifice she makes for her dad!) He’s learned to love and fulfilled one condition of the curse. And the clock is ticking (he only has four more petals on the enchanted rose). If the last petal falls, he—and everyone in the castle—will remain cursed forever—and Beast will have to live without the love of his life. He chooses to prioritize her happiness over his and lets her go to her father. Evermore, the new song in the live-action, displays the agony of this choice explicitly. Then, Belle chooses to go back to the Beast. Now, she has some responsibility to return as she’s accidentally set the mob on the castle but still, she could have let them storm the castle. She isn’t compelled to return to the castle because of the story world but by her innate goodness and kindness (similar to how the Beast rescues her from the wolves). One of the toughest emotional blows in the live-action is when Gaston lies to the Beast by claiming Belle sent him and the crushed look on Beast’s face is truly heartbreaking. And then, of course, we have her confession of love, spell broken, happily ever after. That’s a wrap. What it’s NOT is Stockholm Syndrome. Next Post Disney’s Bucket Challenge: Beauty and the Beast (3/4): Is It Emotional Abuse?